Installing a CB radio in your pickup or SUV can seem like a daunting task. What's the best radio for my truck? How do I mount an antenna that will perform the best for my situation? If you want to avoid hours of research trying to figure out which components are best and are compatible, one of these Pickup & SUV radio kits is sure to included everything you need. We have taken all the work out of it for you. You just have to make sure to choose the correct antenna mount for your Pickup/SUV model and year. All the items are optional. You can choose "None" to remove them from the configuration. Today's pickup trucks and sport utility vehicles tend to have less space for mounting a CB radio. Because of this, we typically recommend a smaller radio for most trucks. The smaller radios we offer in these packages still put out the maximum 4 watts allowed just like the bigger radios. We have also included some larger popular radios that include additional features that you might prefer. As with all CB radio antennas, the antenna for your pickup should be as tall as you can accommodate on your vehicle without becoming dangerous or impractical. A taller CB antenna will mean longer range and better reception. With less stable mounts, such as the fender mounts, you will want to stick with a 3 or 4 foot antenna. We have several options for mounting your Pickup or SUV CB antenna. Some antenna mounts will only work with certain trucks and model years. Each mount kit includes the CB antenna mount and 18 foot weatherproof CB antenna coax kit bundled for easy ordering. Be sure to double check the CB antenna mount you choose for your truck to ensure compatibility. You can always contact us to confirm it will work. We also offer coax recommendations and cool accessories for your Truck! 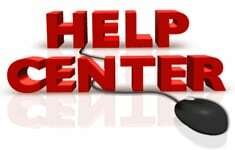 Additional resources and information are available in our help center! Be sure to visit our help center for additional details on choosing CB Radios, Antennas, & Mount for Pickup and SUVs. Our detailed guide to tuning your CB Antenna can save you a lot of time when dialing in your SWR; don't forget to do this! It is the most important step in antenna installation to optimize the performance of your antenna and reduce the chances of damaging your awesome CB radio!